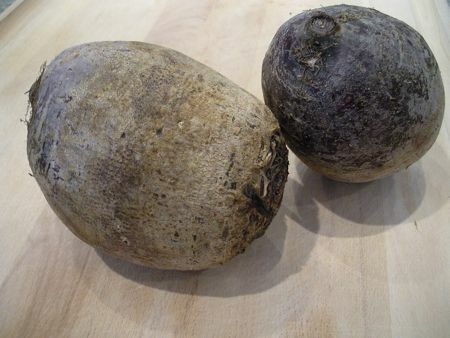 Here are beets bought at a farmers’ market. Typical of a root vegetable, they’re a bit gnarly and off-putting. But beets are actually not difficult to prepare. Some people bake them, and then slip the skins off, but I find that peeling them first is easier. Any way you do it, the’ll dye your hands bright red. 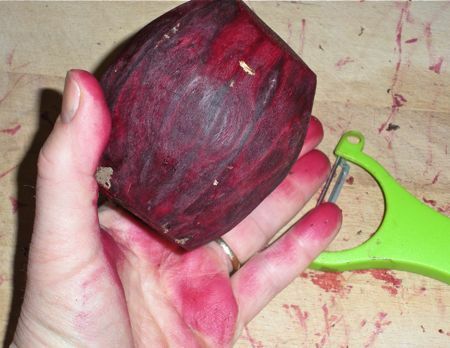 It wears off in a day, but I usually wear disposable gloves when I work with beets. Isn’t this beet looking prettier already? I love the color. I’m going to make baked beets, so I chop them and put them in a heavy baking dish. 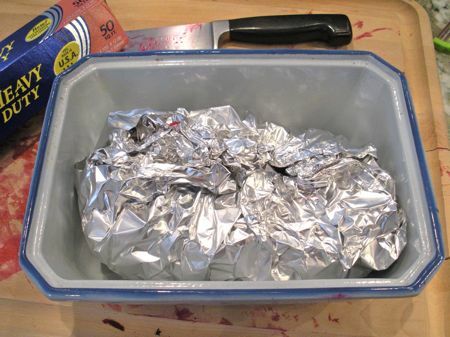 To ease clean-up, I enclose them in heavy foil. 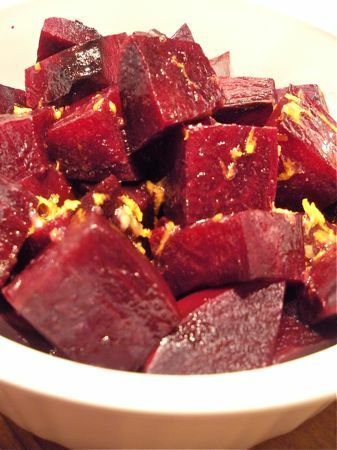 These are juicy beets, but I add two tablespoons of water anyway, to ensure that they steam as they bake. Put the dish in a 350º F oven for 90 minutes. I like to eat plain baked beets right out of the oven – they’re like vegetable candy. 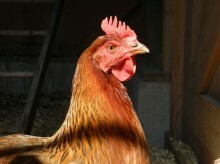 I like them chilled atop a green salad. I also like to dress them and eat as a side-dish. Beets pair particularly well with citrus. Whisk the dressing and toss with the beets.